Anyone can speed read. Learn how now and save precious time. Speed reading isn't just an innate skill possessed by a lucky few. Anyone can learn to speed read, and the benefits are endless. The brain can process more information than most people have time to soak up, but you can make that time now with the 2018 Award-Winning Speed Reading Bundle. The first half of the bundle, 7 Speed Reading EX, does more than just show you how to become an effective speed reader. With video tutorials, eye/ body training exercises and progress reports, you'll be breezing through novels and documents alike more than 3 times faster - with no loss in comprehension. The platform even comes with access to 20,477 eBooks free. When you're ready, the Spreeder CX 2018 tool will allow you to put your newfound talent to practice, with a text-display app that will guide you at an increasing pace through any document you can upload or paste. 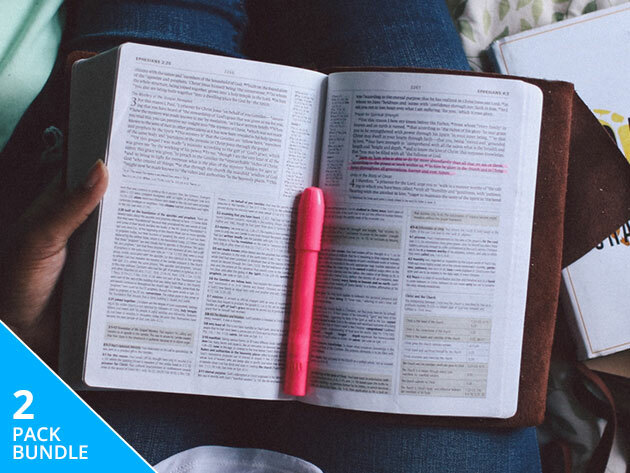 Before you crack open another book, grab a lifetime subscription to the 2018 Award-Winning Speed Reading Bundle for a $19.